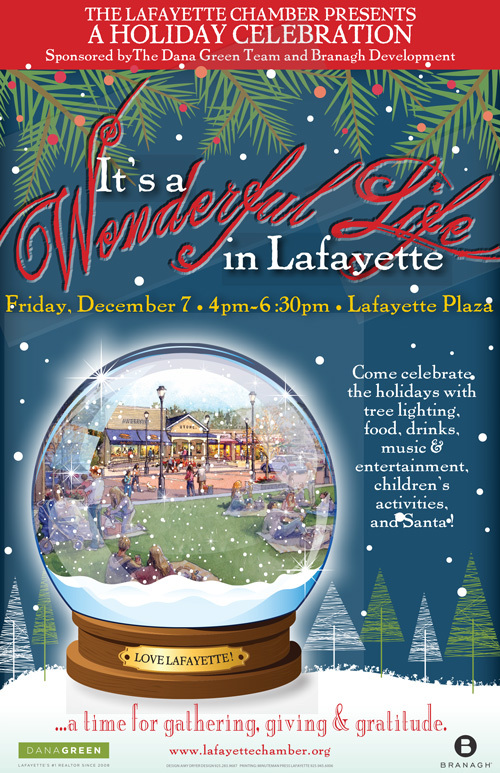 Join us for “It’s a Wonderful Life in Lafayette” Holiday Celebration on December 7, 2018 from 4:00-6:30pm at Lafayette’s Plaza Park, located in downtown Lafayette. Free admission! This fun, family-friendly celebration includes visits with Santa, official holiday tree lighting ceremony, one-of-a-kind photo ops with the Town Hall Elf, live musical entertainment, kid’s crafts, holiday treats and more! Arrive early and plan to stay! 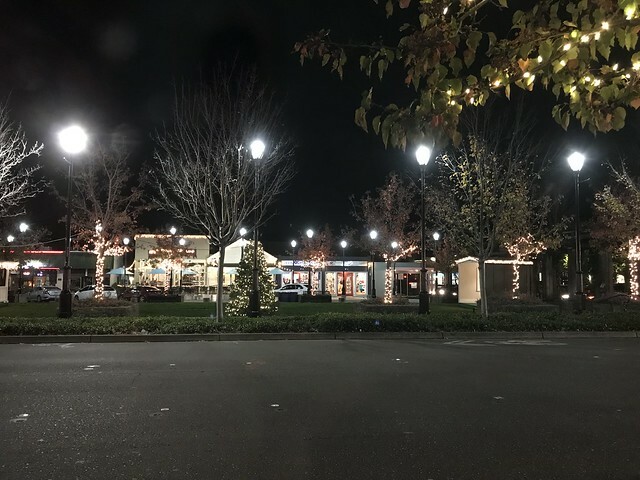 Festivities begin at 4pm when Santa is scheduled to parade along Golden Gate Way starting at the Lafayette Historical Society and arriving at Lafayette Plaza Park (corner of Mt. Diablo Blvd. and Moraga Road) at 4:30pm. A must-not-miss for the little ones! Throughout the event there will be activities for the kids and light refreshments. The event and all activities are free including free hot chocolate provided by the Lamorinda Sunrise Rotary. Mangia Ristorante Pizzeria will be selling slices and beverages will be available for a small charge. We encourage you to support our community by bringing a canned food donation for the Food Bank of Contra Costa and Solano. Enjoy the beautiful holiday drawings created by Lafayette’s 3rd graders that will be exhibited at the event. Already a popular Lafayette holiday tradition, the “It’s a Wonderful Life in Lafayette” holiday event is designed as a time to share holiday cheer as we celebrate this wonderful community we live in. 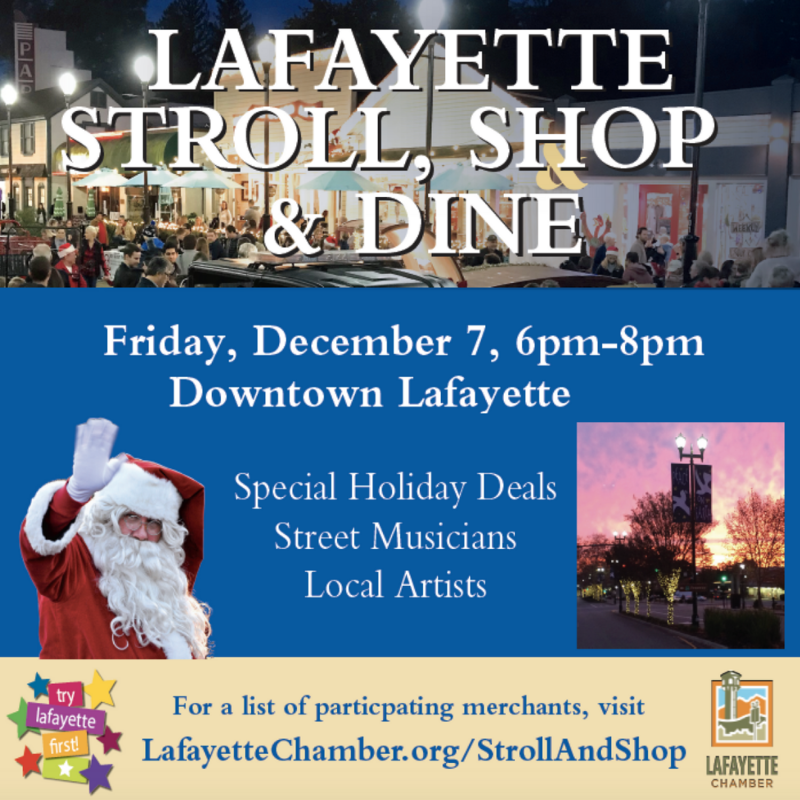 The “It’s a Wonderful Life in Lafayette” event is presented by the Lafayette Chamber, and sponsored by local Lafayette Realtor The Dana Green Team and Branagh Development, who together are also hosting the environmentally-friendly downtown Lafayette twinkle lights for the 2018 Holiday Season. We are excited to announce that we have extended our annual “It’s a Wonderful Life” Holiday event on Friday, December 7 by including a stroll down Mt. Diablo Blvd. from 6:00pm-8:00pm. Start your early Holiday shopping by visiting our local businesses and take advantage of their special pricing. Join your partner or friends to enjoy the Holiday experience. 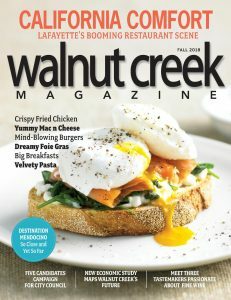 View our participating businesses and restaurants here. If you are a local business or restaurant and would like to participate in this event, please contact Barbara Gilmore at barbara@lafayettechamber.org and we will put you on the map that will be distributed at the “It’s a Wonderful Life” Holiday event as well as being listed on our website. Learn more here.